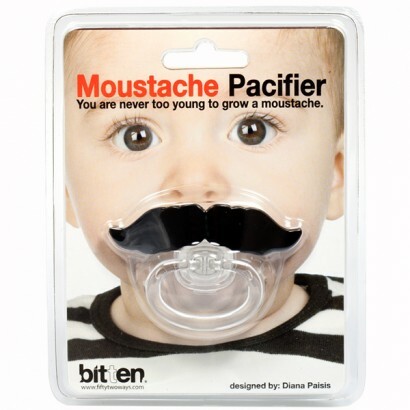 Perfect funny baby gift, a non-toxic baby safe silicone dummy supplied in funky packaging. A great way to add some comedy to those family pictures. 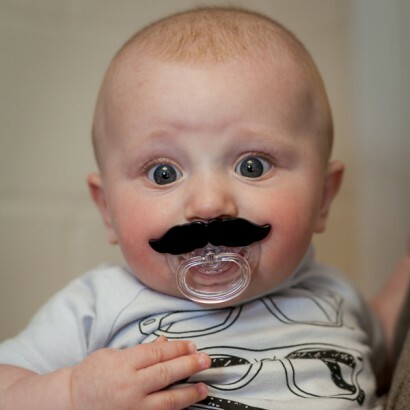 Make Daddy proud by having is little man sport a macho moustache of his own!